With five multi-million-dollar business successes,Matthew Pollard will teach you how to work smarter and a little harder in the short term, so you can get out of the day-to-day trenches and achieve rapid business growth. You work tirelessly and spend a ton of money trying to find and acquire new customers. You work way too hard doing it. Abraham Lincoln once said, "Give me six hours to chop down a tree, and I will spend the first four sharpening the axe." Yet some business owners start swinging right away and never stop. You will walk away from this event with a complete understanding of where you've been going wrong and know exactly how to fix it. • How to truly differentiate yourself from the competition. • Craft a unified message that gets prospects interested. • Discover a niche market of willing and motivated customers. • Understand why you cannot and should not be everything to everyone. • 7:30: More Drinks, Food & Fun, this is your chance to chat about your ideas, what you learned and meet amazing people. Matthew Pollard knows success. With 5 multi-million-dollar business success stories, and the prestigious Young Achiever Award, Matthew is a true differentiation, niche marketing, and sales powerhouse. He is a recurring guest on Fox7's Good Day Austin, KXAN and KLBJ News Radio as well as a featured contributor to CEO, Entrepreneur, and Top Sales World Magazine. Matt was recently honored with induction into the International Sales Blogger Awards Hall of Fame and is the 43rd most retweeted business coach on Twitter. He is the Founder and Executive Director of Small Business Festival, which had been listed by INC as the number two collaborative conference for small business in the nation. Father and son team, Alex and Don Murphy, founded Golden Arm Media in 2011. Golden Arm empowers small businesses with the video content, tools and resources they need to help amplify their message, grow their brand and increase their return on investment. Cypress simplify's hiring efforts by combining an intimate knowledge of our customer’s technologies, environments, and processes & a superior level of customer service. From Fortune 5 companies to established startups, Cypress is your partner for pressing contract, contract-to-hire, permanent, and temporary needs. Engineering, information technology, design, or marketing, Cypress understands our client’s sense of urgency when deadlines are set and talent is needed. Co-founders Michael Heyne and Dominik Stein launched VERTS in 2011 with the simple but bold idea of reimagining the popular Mediterranean food they missed from their native Europe and making it available for American consumers. 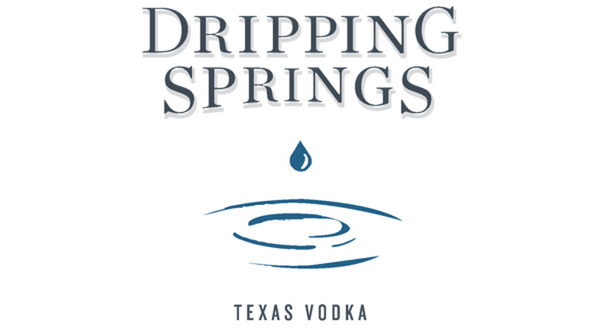 Handcrafted in the Texas Hill Country, Dripping Springs Vodka and Dripping Springs Orange Vodka is made with sweet, Mid-Western non-GMO corn, is naturally gluten free, and is Certified Kosher by the Houston Kashruth Association. Dripping Springs Orange Vodka is made with hand-zested Texas oranges and is 100 percent natural.